Pre-K3 and 4, in learning about the most holy week in the Catholic Calendar, discussed how Jesus died on the cross before His Resurrection on Easter Sunday. Each child then made a cross out of Popsicle sticks or clothespins , painted them, then placed Jesus on the cross. 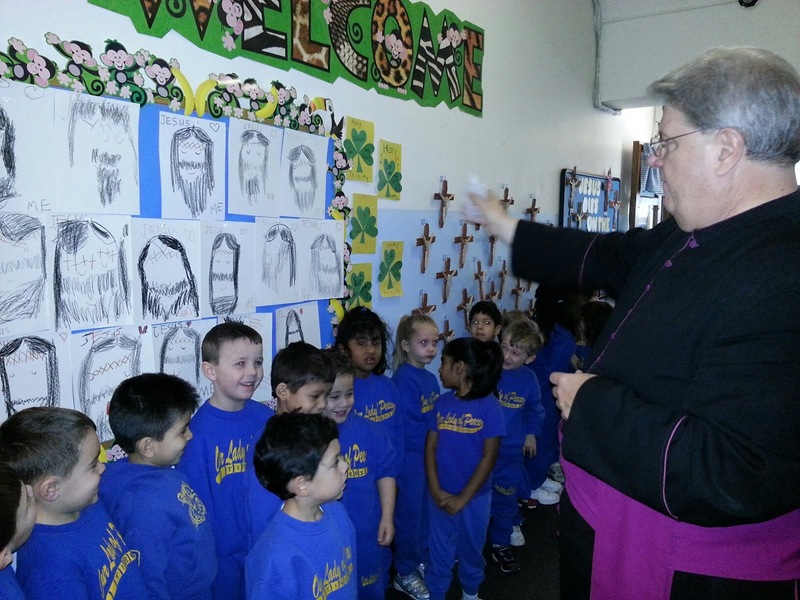 After the crucifixes were completed and hung in the hallway, our Pastor, Monsignor Andy blessed them and our students and teachers. To further their knowledge of events leading up to His crucifixion the Pre-Ks then saw "The Proud Tree" which discusses these events through animations.